Here is some repair tips of iOS devices. 1. How to repair error 53 of iPhone. 2. How to repair error 3194 of iPhone. 3. Yellow screen of new iPhone. 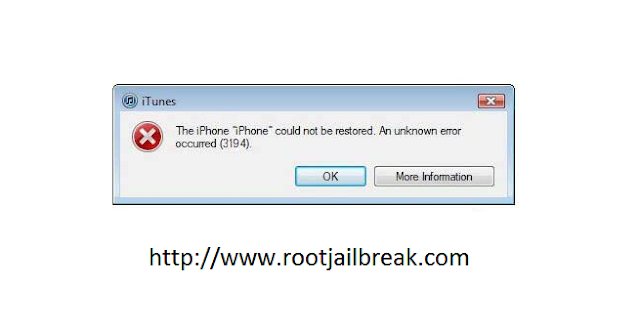 When try to update or restore iOS devices this error can occur. How to fix this error 3194 of iOS devices. first of all, update iTunes to latest version. you can see like below. see this line "74.208.105.171 gs.apple.com"
save this file , restart PC, try update again. most of the time no more error 3194. If your new iPhone may have yellowish screen compare to old iPhone. don't worry this yellowish tint appeared on many new iDevices within first few days. This cause by adhesive use to fix the digitizer by Apple. Until it fully dried, screen may yellow. Yellow color will disappear within few days.